Norton Juster’s 1961 tale of a bored boy who travels to a magical land is more than it seems—as its plot enchants, The Phantom Tollbooth also manages to illustrate the joys of learning. 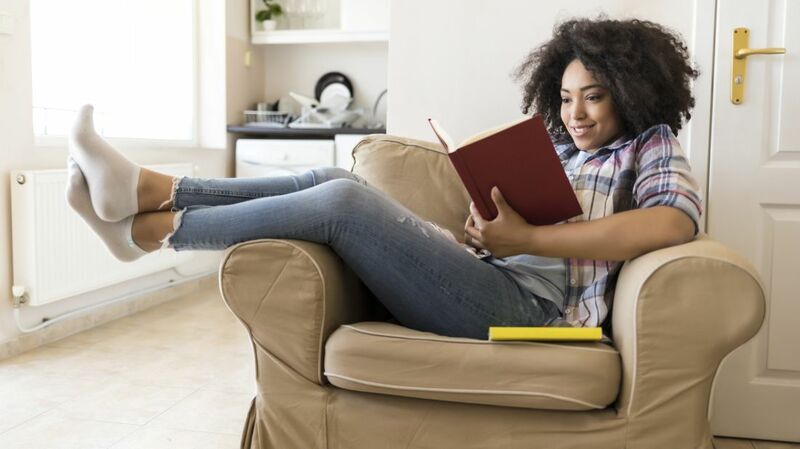 The story behind the book's creation is just as fascinating, so we’ve compiled some fun facts for your next journey through the Kingdom of Wisdom. 1. The Phantom Tollbooth is a product of Juster’s procrastination. 2. Juster’s childhood synesthesia shaped the book. Synesthesia is the condition in which one type of stimulation evokes the sensation of another. It causes the afflicted to inexplicably associate a sound with a specific color, or perhaps a word with a color—the condition manifests differently in each synesthete. 3. Despite the similarities, Juster wasn't inspired by Alice in Wonderland. It’s easy to draw comparisons between the Kingdom of Wisdom and fantastical worlds like Narnia, the Emerald City, or Wonderland. Lewis Carroll’s protagonist Alice is, like Milo, a bored child frustrated with reality; later, they both discover new worlds where “things aren’t always what they seem.” However, Juster’s inspiration came from a different source. The Phantom Tollbooth was heavily influenced by Juster’s father’s love of puns and wordplay, and further shaped by a childhood spent listening to the radio and imagining what could be. 4. A “boy who asked too many questions” inspired Milo. While struggling with his book on cities, Juster had an interesting encounter with a young boy who asked him, “What is the biggest number there is?” The always-clever Juster replied, “Tell me what you think is the biggest number there is,” and then repeatedly told the boy to add one to that number, leading to a discussion about infinity. Thus, the “boy who asked too many questions” was born. 5. Milo’s watchdog had radio roots. The character Tock was based on Jim Fairfield from Jack Armstrong, the All-American Boy, a popular radio show during Juster’s childhood. Tock, the “watchdog,” befriends Milo early in the book and accompanies him on his adventures. Jack Armstrong’s “Uncle Jim” was not a canine, but he did share Tock’s wisdom, courage, and adventurous spirit. 6. The iconic illustrations are the product of a lucky coincidence. 7. Juster and Feiffer fell into a (mostly) playful power struggle. Juster did most of the cooking for the pair and later joked that if Feiffer wanted to eat, he had to draw. The two got into it constantly: Juster frequently described scenes that were impossible to draw, and Feiffer responded by drawing things the way he wanted. Feiffer, for example, wasn’t good at drawing horses, so he drew the armies of wisdom riding in on cats instead. Despite their creative differences, the two remain good friends today. 9. But The New Yorker saved the day. 10. Juster spent most of his career as an architect, not an author. 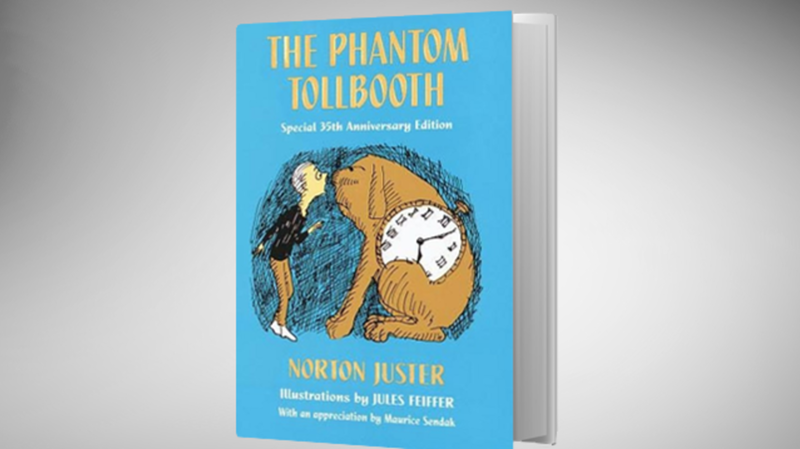 Although The Phantom Tollbooth became a classic, Juster wrote only a few more books (the most famous of which is The Dot and the Line: A Romance in Lower Mathematics). Instead, he spent most of his working life as an architect. Juster served as a professor of architecture and environmental design at Hampshire College for more than 20 years and even co-founded a small architectural firm in 1970. The prevailing wisdom of the time held that learning should be more accessible and less discouraging. The aim was that no child would ever have to confront anything that he or she didn't already know. But my feeling is that there is no such thing as a difficult word. There are only words you don't know yet—the kind of liberating words that Milo encounters on his adventure.